PHUKET: Police arrested three migrant workers and seized more than 300,00 baht worth of pirated goods from shops in Patong yesterday. Maj Korapon Liangboonchinda of Patong Police provided details of the arrests of two Vietnamese women and a Burmese man, all three of whom were arrested and charged for forging a registered trademark, as well as for entering, living and working illegally in the Kingdom. 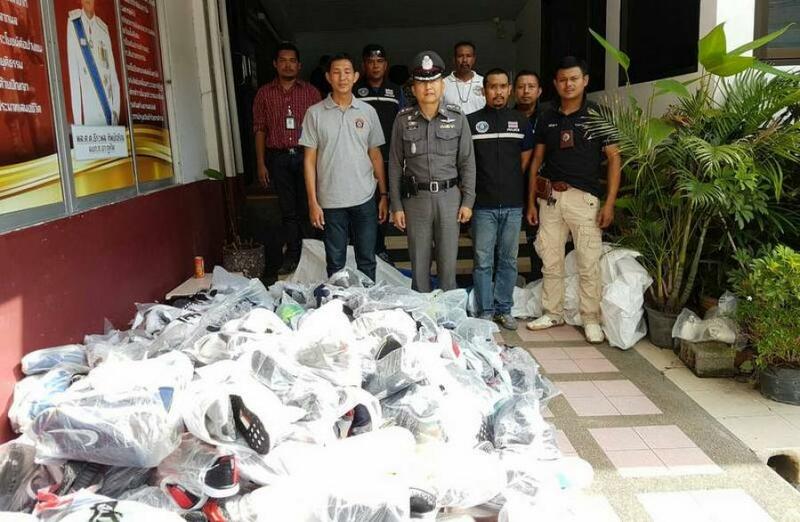 “We seized more than 3,200 items of pirated clothing, electronics and miscellaneous items from shops and warehouses on Thaweewong Road,” said Maj Korapon. “The arrests were made after locals in the area complained about pirated goods being sold in Patong, so we launched an investigation,” he added. The suspects told police that although they were employed to work at the shops, the goods actually belonged to the respective shop owners. Police are now investigating further by tracking down the owners for questioning.